This small locally run orphanage can be described as one big family, thanks to the warm hearts and hard work of staff and volunteers, these children who were affected by the 2004 tsunami, now have a safe, happy and supportive environment to live in. Whether you are talented at teaching, baking, art, computers, writing, sewing, gardening or construction, there is a way for you to contribute. 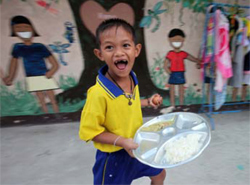 Volunteering at the Southern Thailand Orphanage is a great chance to work with children from all walks of life. Not all children at the orphanage are without parents, some children may still have one or both parents, but for reasons of un-employment, remarriage or being neglected in the home and the child cannot be cared for; the orphanage realises the need for a safe place to live and does its best to provide this in a small friendly and safe environment. The Orphanage staff have a good sense of management and will help you get started; you as a volunteer will assist with the day to day running of the home, taking part in various projects that are active at your time of stay. Your contribution also helps to build confidence in the children through daily interaction and encouraging the children to practice their English skills, English is important for these children as some of the main employers in this area are within the tourism and leisure industry. The home is desperately trying to establish a business strategy to develop a line of handicrafts, any interested volunteers with marketing or business skills and of course handicraft skills would be appreciated in this area. Also volunteers with media and computer skills can advise and assist with them with internet presence. The characteristics needed for volunteering here are creativity, patience, and openmindedness, and hard work. Are you the volunteer we are looking for?vity, patience, and openmindedness, and hard work. Are you the volunteer we are looking for? Daily life at the Orphanage varies and is dependent on a number of factors; current projects in action, number of volunteers at the home, funds available at the time of your visit, time of year (the wet season hinders outside work). Don’t worry you will be kept busy! Volunteers usually help at the local school one day per week and there is always work to do in the kitchen garden. There is usually some light construction to assist with and daily tasks at the home, such as; cleaning washing and cooking. During high season the home bakes bread, cookies and delicious banana loaf which is sold at the local market to help raise funds for the home; this is an important income for the home, assisting in their quest to become self sufficient. Volunteers who are able to teach arts and crafts or music are also needed. The home has just opened their new coffee shop and volunteers will help teach the children working there English and hospitality skills, if you have any skills in the area of hospitality let us know so that we can work this into your daily schedule. Depending on whether there are previously-scheduled volunteers, you can come and volunteer at any date. Everyone has a valuable contribution to make. An ideal volunteer will be able to commit to a minimum period of one week. Furnished accommodation is provided at the orphanage. Volunteer housing is clean and comfortable. 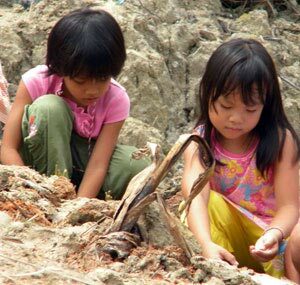 The orphanage is located between Phuket and Takua Pa in Phang Nga province. 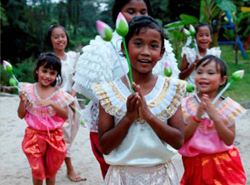 Despite its proximity to Phuket, the orphanage is off the tourist path, giving you a unique insight into the Thai way of life. 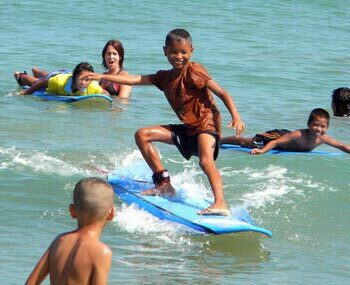 The orphanage is near many captivating places, including the Similan Islands, Koh Ra Ecolodge, Koh Surin National Park (seasonal) and Khao Sok National Park, offering a variety of activities from eco tours, homestay programs, snorkeling and scuba diving.